1993: Georgia Tom Dorsey (Thomas A. Dorsey) passed away. 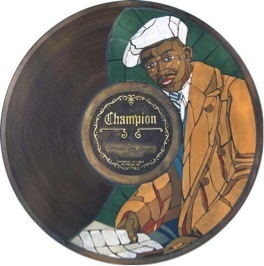 He recorded “Maybe It’s The Blues” in Richmond on 2/5/1930. It appeared on Champion 15994, Champion 50045, and Gennett 7190. A royalty statement sent to Dorsey noted sales of approx. 1,400 copies between 1930 and 1932.